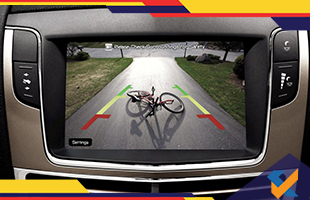 Reverse cameras are gaining surging popularity with each passing day. Car customers are becoming more and more interested in this technology and wish to have them installed in their cars. Ford takes note of this and comes up with a refined form of this technology. Ford Focus, this year, will be seen installed with this reverse camera which will enable car drivers to get a full view of the corners of the region into which their backing up. The camera has a location right above the vehicle's licence plate of the car. It offers the drivers a 180 degree view of the region into which the car is reversing. This view can be displayed on a screen by a single touch. So no need to turn back and arch your neck in distorting angles to see what lies behind. With this reverse camera technology you can now see better and that also sitting absolutely straight. That’s a relief to the neck. The new Ford Focus comes with more and better features apart from the reverse camera. These features were never seen in any other Ford car before. The car also comes with the Ford's Blind Spot Information System (BLIS). The system with its cross traffic alert makes reverse manoeuvring much easier. The system makes use of radar sensors to monitor the region behind a car to avoid unwanted collisions with vehicles, bikes or pedestrians, as a matter of fact. In this case, even if the driver is unable to respond to the warnings given by the system, the system will cause the car to halt by application of brakes. Glen Goold, Ford’s chief program engineer, talks in length about this system and also highlights the importance of this technology in everyday use. In fact, surveys suggest that some of the trickiest car manoeuvres include reversing and driving into a parking bay.